This chapter discusses design of cloud computing environments for e-learning services and applications for students with disabilities. The main idea is to expand the corpus of e-learning services adjusted for students with disabilities. The rationale is that e-educational systems are becoming more complex and educational institutions need a new solution for deploying e-learning services. The cloud computing environment gives a new perspective to educational process in terms of usage of educational applications, software, and system for e-education. Regardless of the rapid development of information and communication technologies, there is a low level of inclusion of students with disabilities into the education process. 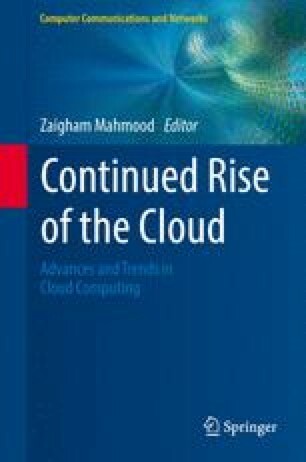 Therefore, in this chapter the authors present a model of cloud computing environment for providing e-learning services developed with respect to the needs of students with disabilities. The model includes a variety of services, applications and components integrated into the e-learning Web portal. These services provide numerous features: a choice of different types of teaching materials, an integration of interactive voice response system within the learning management system, a mobile messaging service, etc. As a proof of the concept, a number of components of the model were implemented for students with disabilities within the Laboratory for e-business, Faculty of Organizational Sciences, University of Belgrade. Results and our impressions are presented.